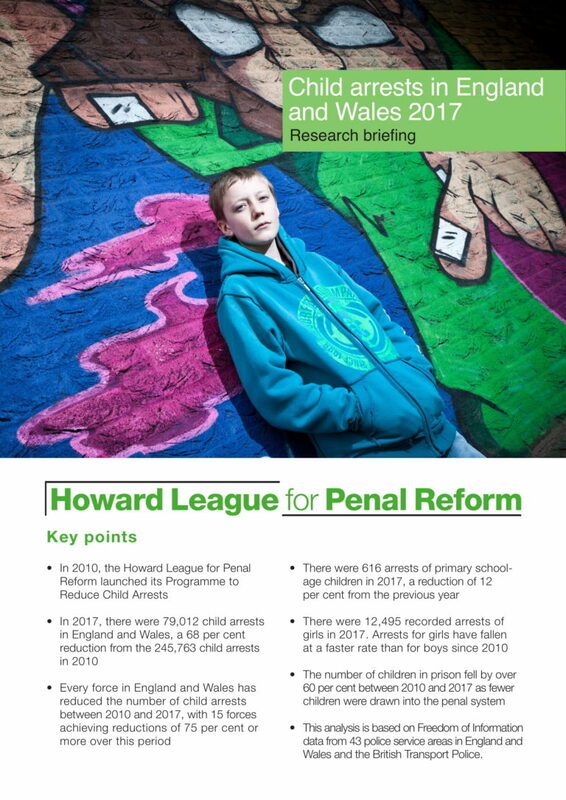 In 2010, the Howard League launched a programme to reduce the high number of child arrests in England and Wales. Reducing child arrests requires careful monitoring and analysis of all police contact with children. The Howard League has worked alongside national police leaders, the inspectorate and forces to support best practice in dealing with children. We have worked closely with police forces around the country to curtail the number of children coming into the criminal justice system and to prevent children’s lives being blighted by criminal records and unnecessary police contact. The annual data we publish on child arrests testifies to the success of this work. The data obtained by the Howard League shows that in 2017 there were 79,012 child arrests in England and Wales. This constitutes a reduction of 68 per cent since 2010 and a decrease of ten per cent compared to 2016. This briefing paper presents the data on the number of child arrests from 2010 to 2017 by police service area, suggests key areas to achieve further progress and a provides case studies from different police areas.